If you are coming from Old Street Station you need to use Exit 3. This former Whitbread pub has recently been refurbished but retains some original glazing. 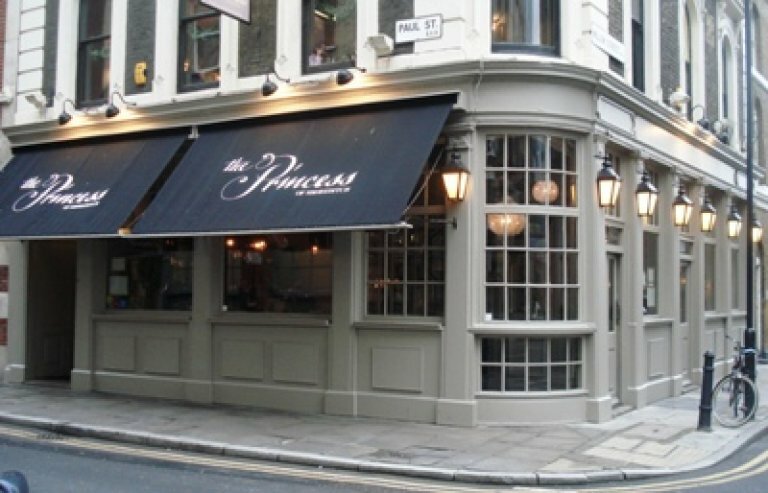 The Princess of Shoreditch featured on the Breweries and Markets Past and Present: Evening Crawl of Shoreditch, Bethnal Green and Spitalfields in December 2009.